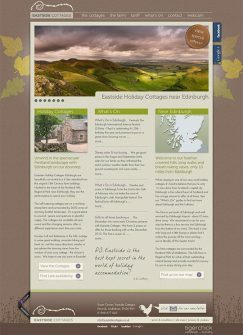 Eastside Cottages is an idyllic holiday cottage business on a farm in the Pentland Hills near Edinburgh. Tigerchick designed their website, logo and has now taken many photographs over several years. One problem that Eastside faced was a down-turn in bookings at certain times of the year. 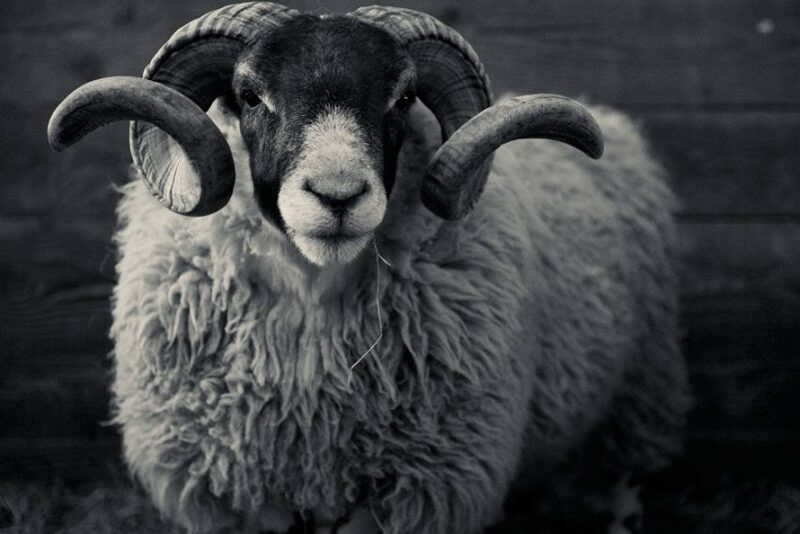 To combat this we looked for inspiration in the seasons that dramatically and beautifully change Eastside, deliberately showing photographs of the farm at all times of year - even in the snow - to encourage visitors in the winter. 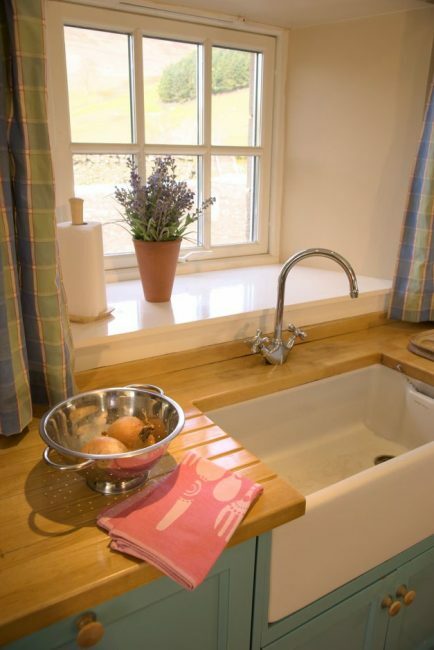 We also show Eastside as a place, not just a holiday cottage, as we believe that holiday-makers are inspired by the location as much as the accommodation itself. It's not quick a fix as photographs must be taken all year round, but it's worth it! 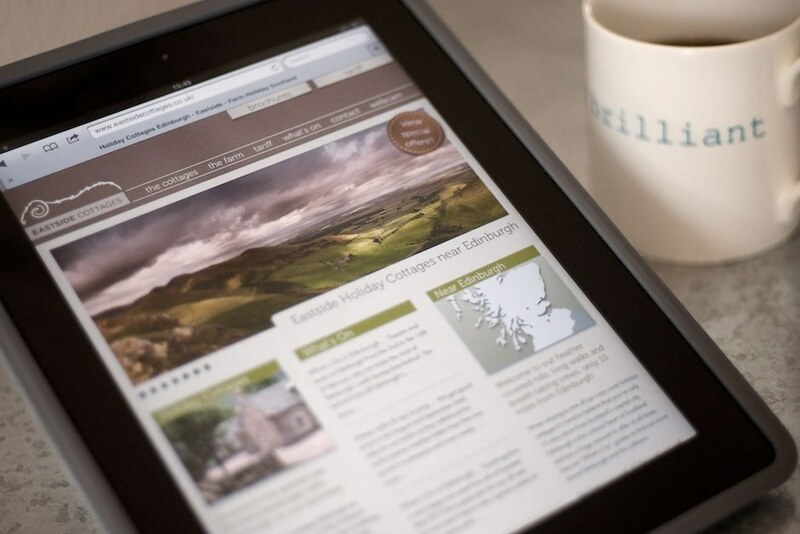 The website is highly up-dateable with a local "what's on" guide, news of the farm, a flickr feed and online seasonal brochures - also designed by Tigerchick. As part of a carefully considered "content strategy", a web cam was installed on the farm capturing and displaying an image on the site every minute. This has become a hugely successful method for attracting visitors to the site as well as providing a genuinely useful resource for walkers. Social media is present throughout the site, encouraging commenting on and sharing of the content as well as keeping customers informed. 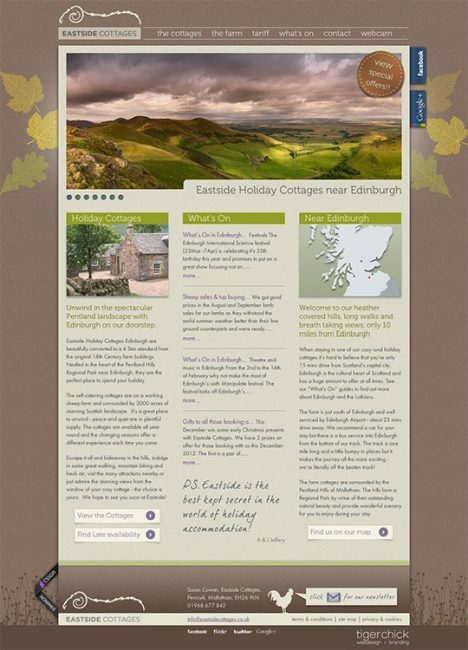 Eastside has been used as a showcase website within the ExpressionEngine CMS gallery and was a nominee in the CSS Awards - Site of the Month. 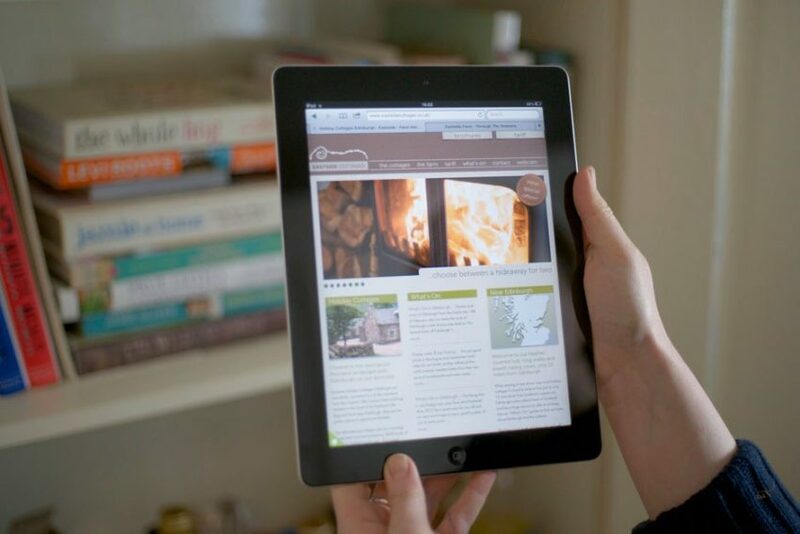 Tigerchick redesigned my self catering cottage website and I found it revolutionised my business! I get more enquiries and a higher conversion rate of enquiries to firm bookings than I ever did before. 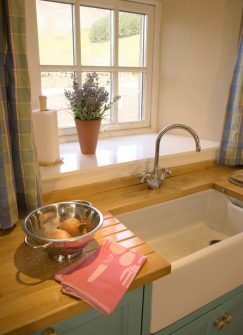 They set about the task in a very knowledgable and professional manner, photographing the cottages and their surroundings, designing the site and revamping the location page with the latest available technology. I was consulted at every stage and felt involved in the whole process. 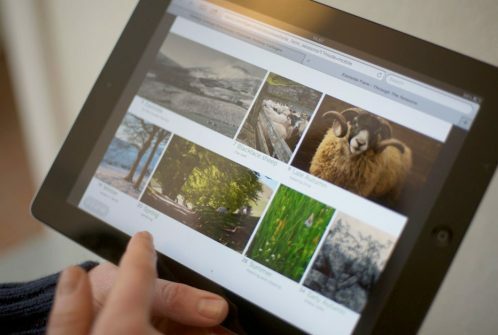 SEO had previously been a problem and this was addressed and greatly improved as their knowledge allowed the new site to be designed to maximise this. I can thoroughly recommend Tigerchick as they are young, enthusiastic and highly efficient and effective at what they do.